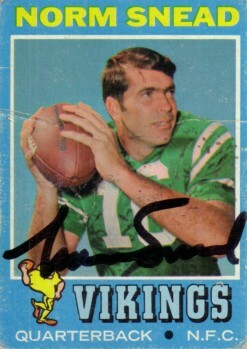 Norm Snead autographed 1971 Topps card (showing him in Philadelphia Eagles uniform though card says Vikings). ONLY ONE AVAILABLE FOR SALE. With certificate of authenticity from AutographsForSale.com.